← Shu Uemura Laque Supreme in Chu Chu Coral and Wild Rose review – baby got laque! The “Best Of London” Afternoon Tea is not so much a roll call of British classics – sadly no mini pork pies and Scotch eggs were in evidence – but more Chef Nicholas showcasing a few of his London teatime signatures… most of which were pretty delicious, so our table of Brits didn’t mind the slight misnomer too much! 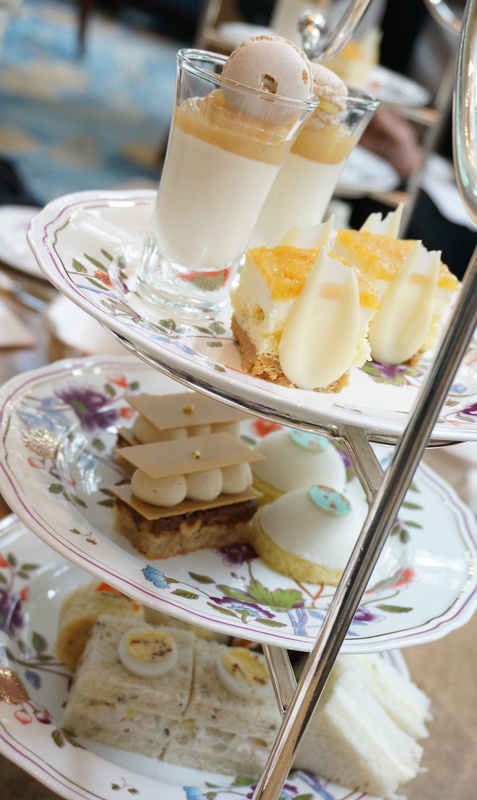 Served on the Island Shangri-La’s beautiful floral crockery (TTLG always awards extra afternoon tea points for pretty plates), this tea set covers all the standards and then some. The savouries are all sandwiches and although I’m sure you can guess most of the components without me having to tell you – smoked salmon, egg mayonnaise – there were a couple that stood out. My favourite was the Cornish crab roll with smoked paprika and chives, with the roast chicken with mustard, gherkins and a teeny-tiny boiled egg a close second; both were packed with strong flavours and quality ingredients that left you in in doubt what the fillings were supposed to be (thumbs down to unidentifiable mystery meat sandwiches!). Even the egg and cress was given a new lease of life with the addition of black truffle, although I found the yuzu crème fraiche and smoked salmon pairing verged on the too sour for me. Alas, the bread on a couple of our sandwiches was rather dry though. 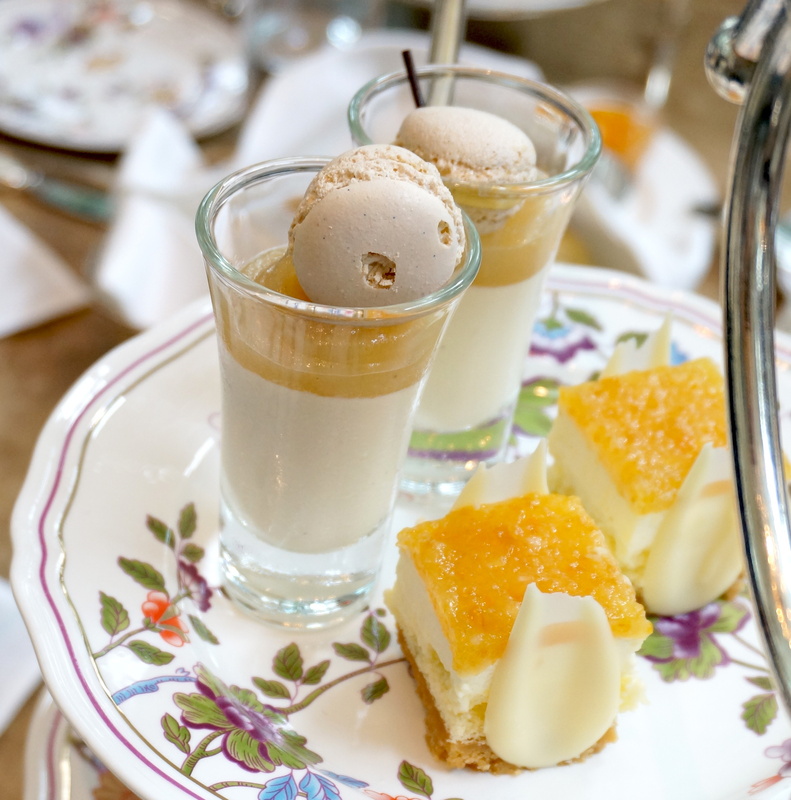 The sweets all scrubbed up very nicely, looking beautifully elegant against those lovely floral plates. 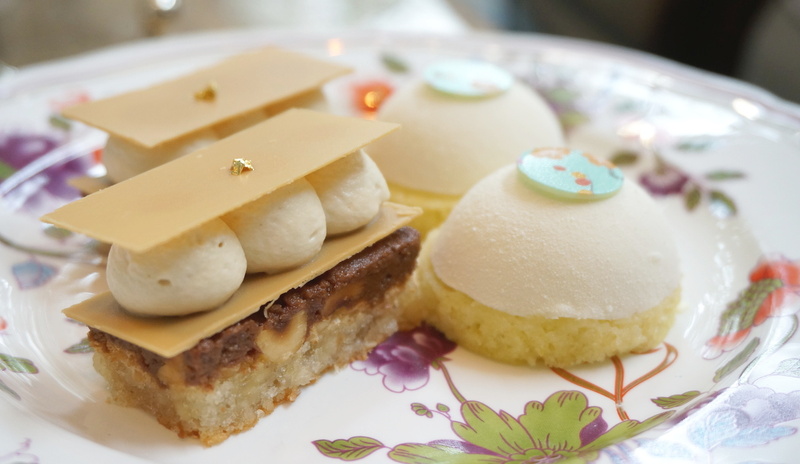 Whenever I eat afternoon tea, I usually identify what I think will be my favourite pastry and save it until last – and here, that honour fell to the hazelnut dacquoise with praline crunch and chocolate cream. Delicate, refined and with the perfect contrast between crispy crunch and velvety smooth, it was just divine. Also delightful was the coconut white chocolate mousse – light, fruity and thankfully, not nearly as sweet as you’d have imagined from its princess-pretty appearance. The other two sweets weren’t quite as successful for me. The yuzu orange marmalade cheesecake was too citrusy for my palate (disclaimer: I don’t get on with orange pastries), whilst I found the cinnamon-infused cream with pear compote and a vanilla macaron just odd. I’d been expecting something with a more panna cotta type texture but nope, this really was just extremely runny liquid cream – even weirder given that you aren’t actually given a spoon to eat it with. 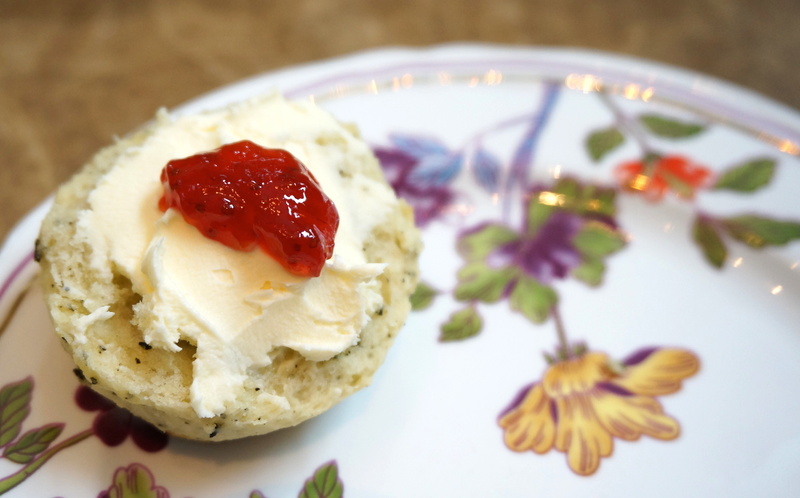 The scones for this tea set are also a bit special – hello Earl Grey scones! These were every bit as fragrant and delicious as I’d hoped they’d be; they’re definitely more on the crumblier end of the scone spectrum but they tasted simply great on their own, let alone once you smeared on some jam and clotted cream. 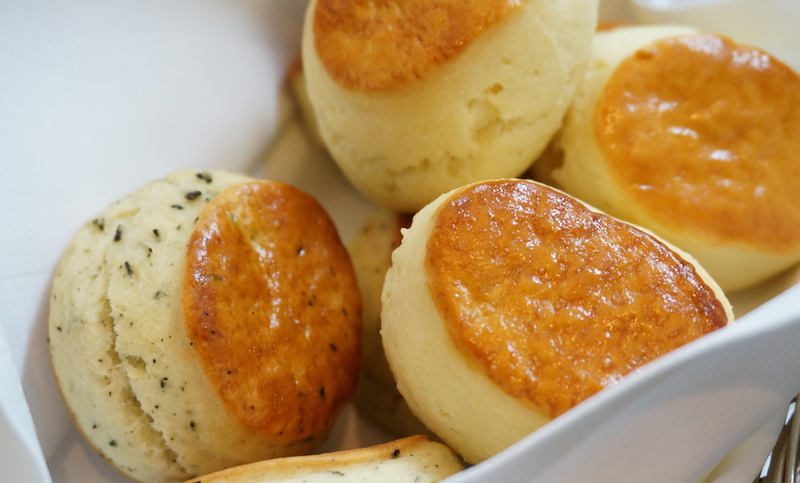 One of my most common complaints about afternoon tea in Hong Kong is that they usually feature far too many pastries – but this one struck a very happy balance between sweets and savouries for me. 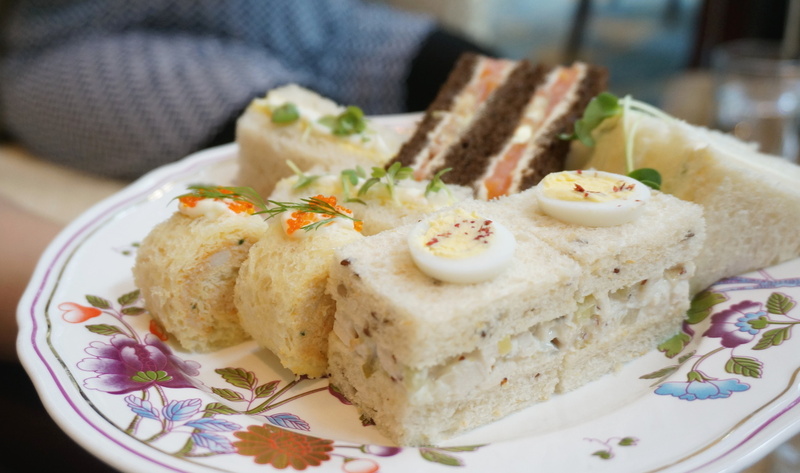 Although the Best Of London Afternoon Tea is only available until the end of March 2015, the quality of this tea set was more than enough to convince me that the Island Shangri-La’s regular afternoon tea, plus the lovely relaxing ambience of its Lobby Lounge, is definitely worth returning for – a tasty bit of crumpet indeed! 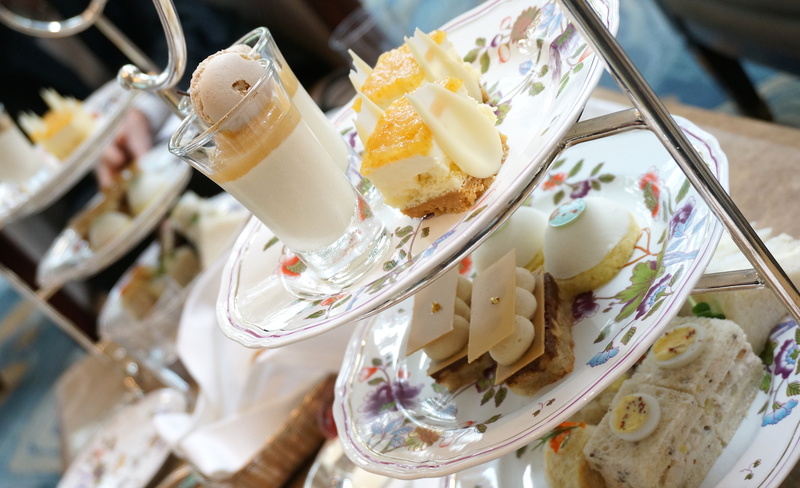 Island Shangri-La Best Of London Afternoon Tea is available until 31 March 2015 at the Lobby Lounge or Island Gourmet (and Lobster Bar & Grill at weekends). 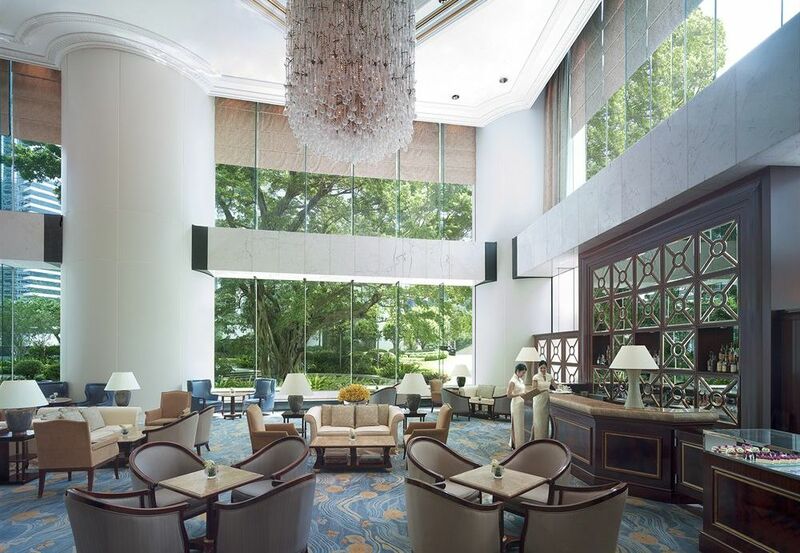 It costs $318 for one person or $538 for two; Island Shangri-La’s regular afternoon tea sets cost $258 for one person or $448 for two. This entry was posted in Food and tagged Admiralty, afternoon tea, afternoon tea Admiralty, afternoon tea hong kong, best afternoon tea in Hong Kong, best high tea Hong Kong, Best Of London Afternoon Tea, Chef Nicholas Patterson, high tea, high tea hong kong, Island Shangri-La, Island Shangri-La Best Of London Afternoon Tea, Island Shangri-La HK, Island Shangri-La Hong Kong, Island Shangri-La Hong Kong afternoon tea, Island Shangri-La Hong Kong Lobby Lounge, Lobby Lounge, Pacific Place, review, Shangri-La Hong Kong, where to eat in Admiralty. Bookmark the permalink.